Tuesday August 21, 2018 - The Jubilee Government under the leadership of President Uhuru Kenyatta and his Deputy, William Ruto, has warned Kenyans to prepare for tougher times ahead as it struggles to repay the loans owed to China. In a statement to Kenyans, Treasury says that it will have to squeeze more taxes and therefore they should be ready for inflationary pressure and fight bankruptcy. 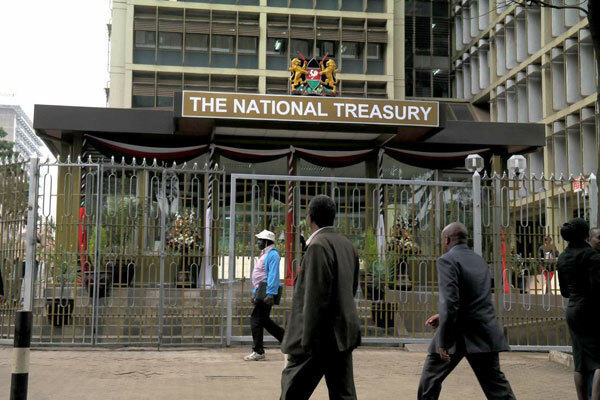 This comes as the Government prepares to plug the gulf left by heavy borrowing particularly from China which now accounts for up to 65 per cent of bilateral loans. Kenyatta University chairman of Economics department, Dr Paul Gachanja, however believes that the debt burden is a necessary evil. He says that Kenya must tighten its belt to secure a better future for its growing population. “Mismanagement is our biggest setback,” Dr. Gachanja said.